Fruit and veggie boxes are now available. Check out our shop. 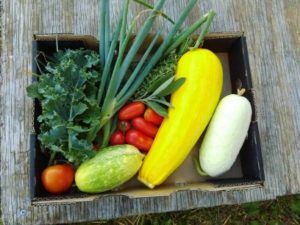 These fruit and veggie boxes are advertised in our Facebook group and sell out fast so be sure to join and keep an eye on the posts. Community Support Agriculture (CSA) is a way for you to buy local, seasonal, organically grown produce direct from us, the farmers! 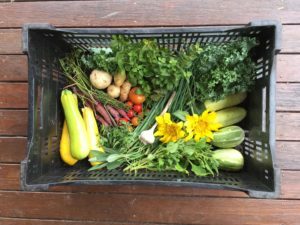 Each week you will receive a box of our beautifully grown, delicious produce picked straight off our farm.